Earlier this month I met colleagues from King’s College Hospital and Guy’s and St Thomas’ Hospital at St Pancras International to catch the 5:40am Eurostar to Paris. 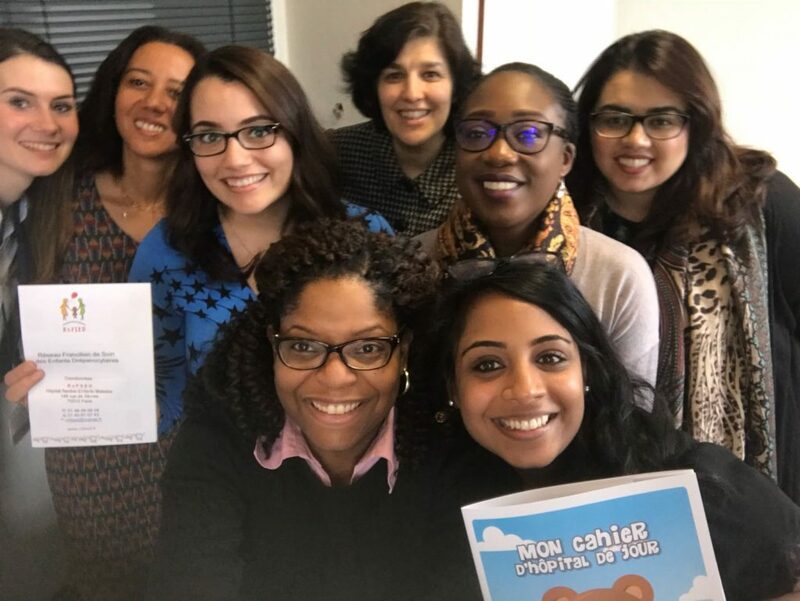 Our hospitals have a longstanding relationship with RoFSED (Réseau Francilien de Soin des Enfants Drépanocytaires – which roughly translates to Network for the Health of Children with Sickle Cell Disease), so we had arranged to meet the team. STSTN previous visited the RoFSED team in 2012. Prof David Rees felt it would be a good idea for newer members of the team to learn from our French colleagues, as they have been creating innovative resources to improve the lives of children and families with SCD. I arranged for three members of KCH (myself, Sabah and Giselle), and three members of St Thomas’ (Maria, Hatel, and Kemi) to meet Prof Mariane de Montalembert and her RoFSED team to see whether we might be able to take any ideas back about how we could improve our NHS services within South London. At around 10am we arrived at The Necker Hospital to welcoming faces and delicious pastries! The Necker was the first Children’s Hospital in France so there was lots of history to take in. The day started with a presentation from Prof Mariane de Montalembert about their work, the organisation of health and social care in France, and how this interacts with poor socio-economic status in the majority of the families that they see. We also learnt about how RoFSED was developed and how it works alongside the French healthcare system to provide psychological support and neuropsychological assessments for children and young people, as well as help to facilitate thethe transition process. RoFSED was created in 2005, and works in close collaboration with local hospitals, although they are based at Necker Children’s Hospital. It sits outside of their generic health care system and instead has a team dedicated to producing educational resources (games, videos, leaflets, flipbooks, etc.) that can be used across hospitals in Paris. 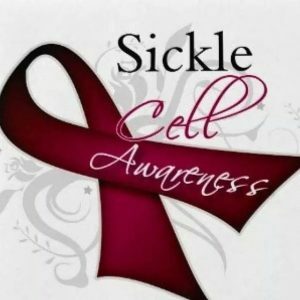 They also run groups for children and parents, provide social support and activities for children with SCD and their parents, and facilitate holidays. The team consists of 1 full time Doctor, 1 full time Psychologist, 1 full time Teaching Nurse, and administrative support. After Mariane’s presentation we spent a couple of hours with Alizée (the RoFSED Teaching Nurse) and Sandrine (the RoFSED Doctor) looking through their INCREDIBLE resources – their quality and inventiveness was amazing, and we were fortunate enough to bring some back with us to London! The leaflets and games were also brilliant and would be a great resource for us to have in England. 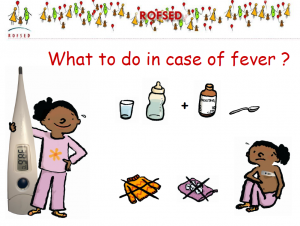 Currently all of RoFSED’s resources are in French, so we are now thinking about how we can get them translated and work alongside RoFSED in using these internationally. 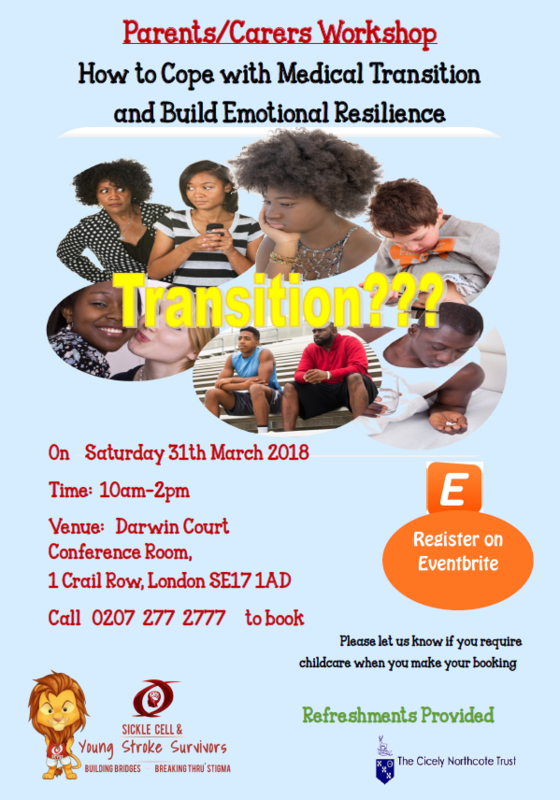 We can certainly see a place for them in our clinics, home visits, and psychology sessions, all the way from the early stages of genetic counselling through to transition and adult services! Over a delicious Lebanese lunch we discussed our hospitals, compared ways of working and learnt more about our differing roles. At the end of the day we found ourselves with an hour to spare before the Eurostar home, so we walked the streets of Paris to the Eiffel Tower. Ultimately it was a really fantastic trip, not only because we were able to be inspired by the RoFSED team in about how we can improve our own services, but also to strengthen the links and friendship between the two hospitals – we are hoping we can get them to visit us in London soon! Thank you STSTN for supporting us! 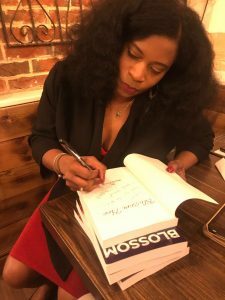 On 15th March Sharon Fevrier launched her debut novel, Blossom Tree: Love, Burn, Rise, in Greenwich. 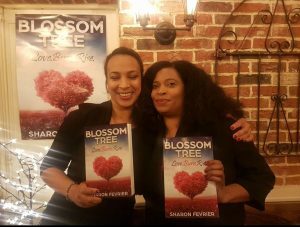 Blossom Tree was inspired by Sharon’s own experience of living with sickle cell disease and how she became partially sighted as a result. It explores issues around being dependent and independent through the novel’s main character, Shantel. 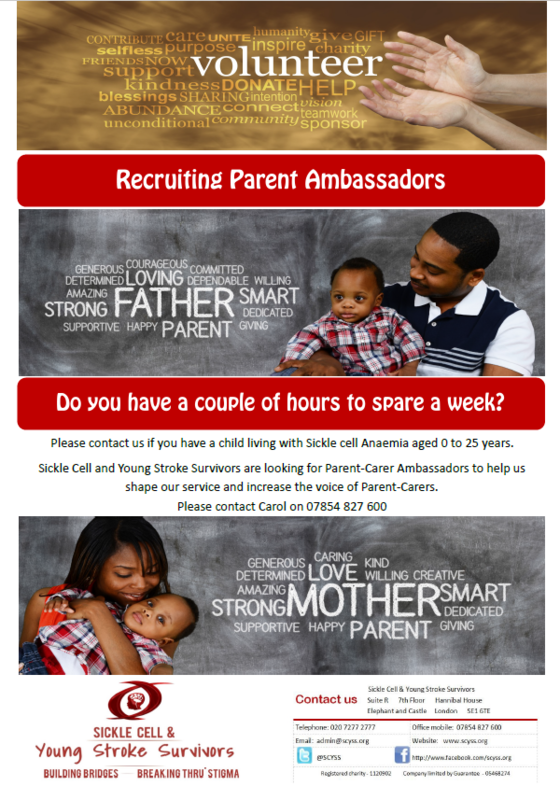 Find out more about Blossom Tree here. Thank you Sharon for sharing this with us and congratulations on your book!